Is it safe to store your wallet seed on a piece of paper? As a follow up of the step 3 of the article Litecoin LoafWallet Tutorial, does the story actually end after we write down the recovery seed on a piece of paper? As we know, if we lose our phone or tablet, the software wallet is gone. The only way to recover your wallet is to go through the backup seeds. And if we lose that piece of paper, we’ve actually lost our crypto! There are many ways to lose the seed on such a small piece of paper e.g., water, fire, or faded ink. And there are numerous actual sad stories on people losing or damaging the paper containing their seeds. You can read a couple of them here and here! Compared with paper, metal can be fire and water safe and is much more durable and thus is much better for storing your valuable wallet seed. Here we take Cobo Tablet as an example. Built with aerospace-grade aluminium alloy, Cobo Tablet is safe, durable, easy to use, and also resistant to salt water and acids. 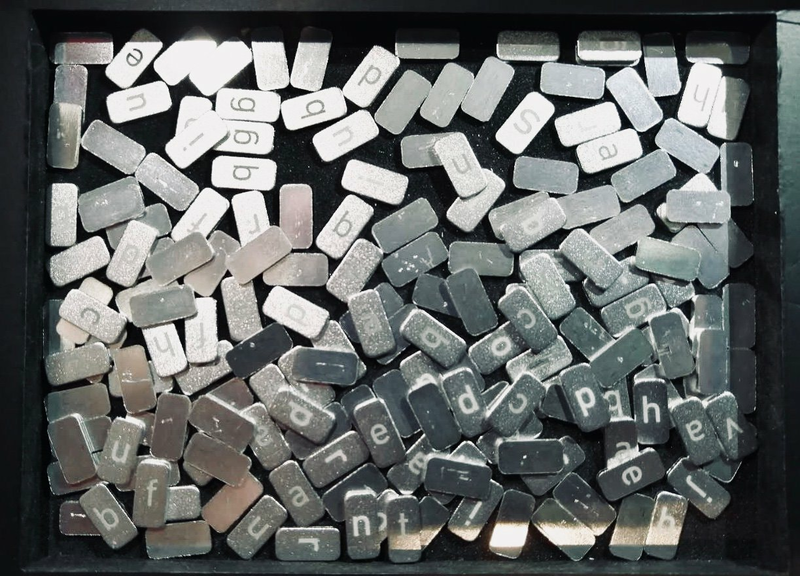 Each Cobo Tablet has 24 numbered slots with 12 slots on each side as shown in the above picture and a set of small metal letter tiles shown below. Each slot can contain 4 letters, representing the first 4 letters of the corresponding word of your HD wallet seed, which is just enough according to the BIP39 standard because no two words in BIP39 have the same 4-letter prefix. To represent a word with less than 4 letters, a tile’s backside can be used as a placeholder. For example, the following Cobo Tablet represents the seed cat road receive update adapt melt result phrase foam rose ability have, where the first word cat is appended with a placeholder, and receive is represented as rece. Once you put the letters in the slot, cover the letters with the metal layer and use a screwdriver to tighten the four corners and then store it in a secure place, e.g. a bank vault. You can now buy the Cobo Tablet from Amazon or Cobo's official website.